You know that "we come in peace" business? Bite me.' Stargate SG-1 has, like a fine wine, matured over six seasons from a basic movie spin-off into the best science-fiction show on television. And one that includes, within its impressive arsenal of strengths, a sly and laconic humour - heavily pushed by the personality of its leading man and executive producer, Richard Dean Anderson. The series is witty, inventive, surprising in all sorts of ways, and massively popular across the globe. It has tackled some very serious issues, but it's also loads of fun - full of pithy dialogue and knowing winks to its audience. 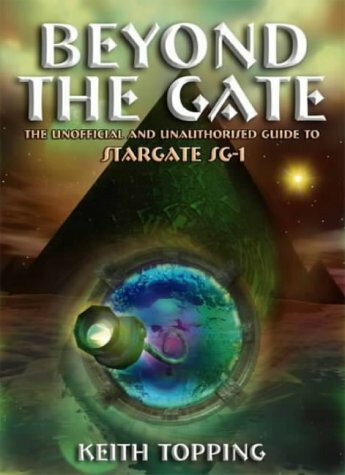 In Beyond the Gate, an indispensable unofficial and unauthorised guide to the Stargate universe, acclaimed author Keith Topping breaks down each of the series' 100-plus episodes, analyses the elements and recurring themes that make it so popular, uncovers possible influences, acknowledges the moments when logic simply flies out of the window and provides trivia for use at dinner-parties and conventions.